In order to build a stamp collection, you need to find and acquire stamps for it. This can be more or less easy depending on how you collect stamps but it is also a lot of fun. It doesn’t matter where you are in the world, there are sure to be some hidden stamp treasures in your vicinity. Just try some of the below suggestions for finding stamps and you will be amazed at the results. We have separated your search into two categories – free stamps and purchased stamps, since they each require a somewhat different strategy. Free stamps can be found all around you, even when you cannot at first see them. They are in attics and garages, under beds and up in closets, hidden in small tins and large boxes, tucked away in unexpected corners and even hidden inside walls and ceilings. Here are some suggestions to help you unearth these treasures for your stamp collection. These sources of stamps will also likely push you into learning how to prepare stamps for your collection and the best ways of doing that. First – Ask people for stamps – your relatives both close and far away, your friends and co-workers, the clerks at businesses you patronize, your boss, your neighbors, people at parties, both old and new acquaintances, school friends and class mates, in fact anyone who will stand still long enough for you to ask them. You don’t know who can give you stamps and most people don’t even think about the stamps they may have in their possession. Don’t forget to check the mail that is delivered to your home, it too is a source of free stamps. Second – Tell them what you want – The people who have stamps, mostly do not know that they have something you want. You have to educate them. 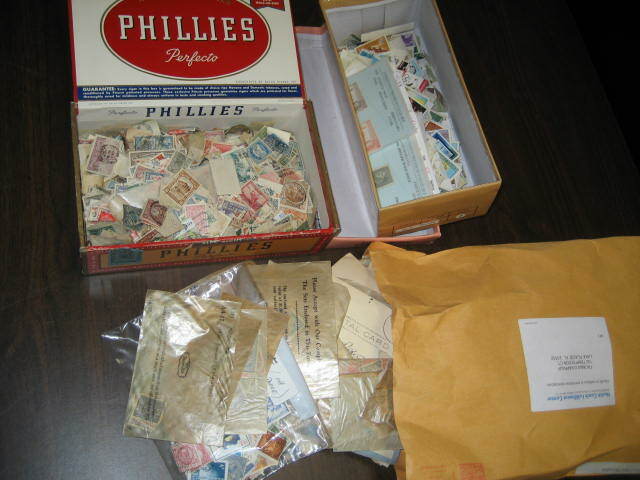 You want stamps of all kinds (or your specialty), you want mint and used, in albums or loose, in boxes and baggies, in glassine envelopes, on and off paper, in singles, blocks, strips and sheets, on envelopes and postcards, old postal history, even documents with revenue stamps. Third – Where to find stamps – Old stamp albums, collections and accumulations are hidden away in all sorts of places in homes, business storerooms, offices, garages, bank deposit boxes, etc. Don’t be afraid to open every drawer, box, tin and other container looking for stamps. Don’t forget to check old cigar boxes and metal Band-Aid tins, they were often used to store unsorted mixtures of stamps. Check under beds and up on high closet shelves. Even buildings being demolished sometimes expose stamps hidden in their walls or ceilings. Is someone moving? 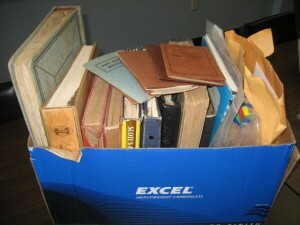 (ask at your local movers) – they might be about to throw away an old stamp collection or a trunk full of envelopes rather than haul them along. Save those stamps from certain destruction, they might be valuable and are, at the very least, desirable. Fourth – Key points to be made – You are looking for free stamps, not to purchase them. Remember, you are a poor stamp collector with a zero dollar budget but lots of time and need help acquiring stamps for your collection. 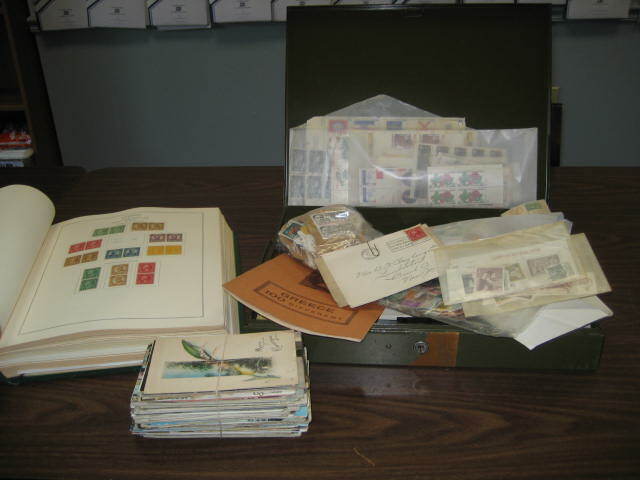 Be sure to explain to people that they might have an old junior collection from the 50’s or Auntie Jane used to collect stamps or Uncle Joe worked overseas for a few years and maybe they have old family correspondence or love letters. Be inventive and entertaining – you will receive many more free stamps by being friendly for five minutes than for being oppressive for half an hour. Fifth – Free does not mean worthless – Despite decades of stamp collectors digging through all sorts of personal possessions looking for stamps, there are still many unrecognized valuable stamps languishing in boxes or albums hoping to be found and treasured by a stamp collector. 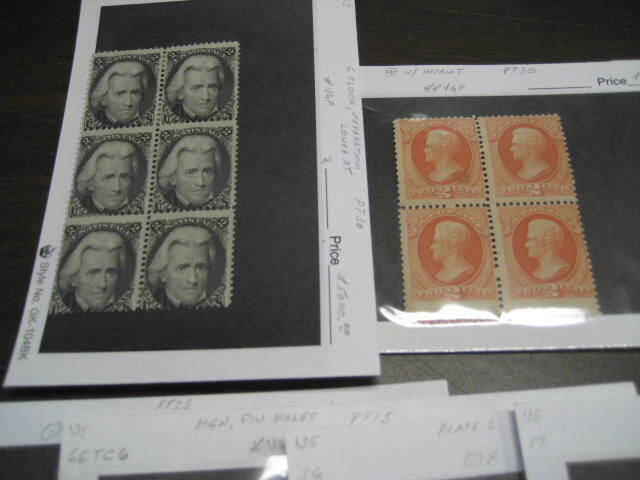 When we say valuable we mean stamps worth $100’s to $1000’s of dollars each. It is an absolute fact that in today’s world most people do not recognize the value of the stamps they have and they will often give them to you absolutely free. Reality check… finding stamps this way is a bit like a lottery – mostly you will receive low value stamps but sometimes you will hit a jackpot. Purchasable stamps, of course, are to be found through the philatelic trade and stamp collector community. They are at first glance invisible to the average non-collector and society in general but you will soon know where to turn and who to talk to. As an assist to tracking these stamp sources down, we have outlined some of the many places you will find stamps to buy. First – Who sells stamps – The list is actually quite long and includes everybody from stamp dealers with retail storefronts, internet stamp dealers with their own websites, internet dealers with stores inside collectibles websites such as Bidstart.com, Stamps2Go.com, DelCampe.net; stamp auction houses, mail order stamp dealers and stamp approval sellers, stamp collectors individually and through them, their stamp clubs and even yard, garage and rummage sales sometimes have stamps in their offerings. Don’t forget, most postal services, including the US Postal Service, operate internet sales outlets for their current stamp issues in addition to their traditional counter sales. Second – Where to find these sellers – Join your local stamp club, most members have extra stamps they would love to sell, often at very reasonable prices. 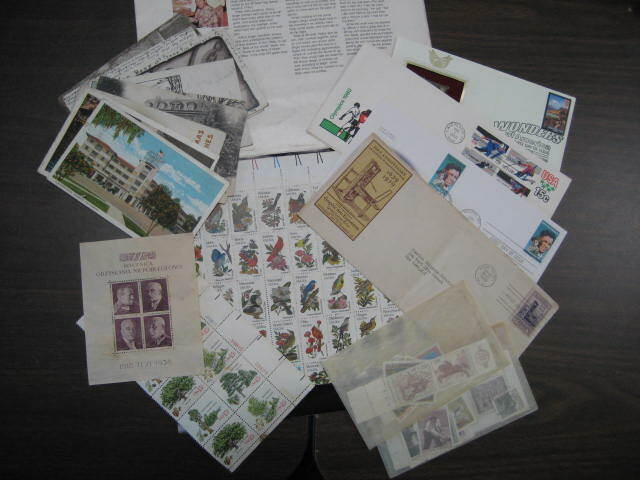 Join a philatelic organization such as the International Society of Worldwide Stamp Collectors (ISWSC), American Philatelic Society (APS) or the American Topical Association (ATA). The latter two maintain internet e-stores for their members to sell surplus stamps (stamps.org and topicalsonline.com). Check your local yellow pages for nearby stamp dealers with retail storefronts. 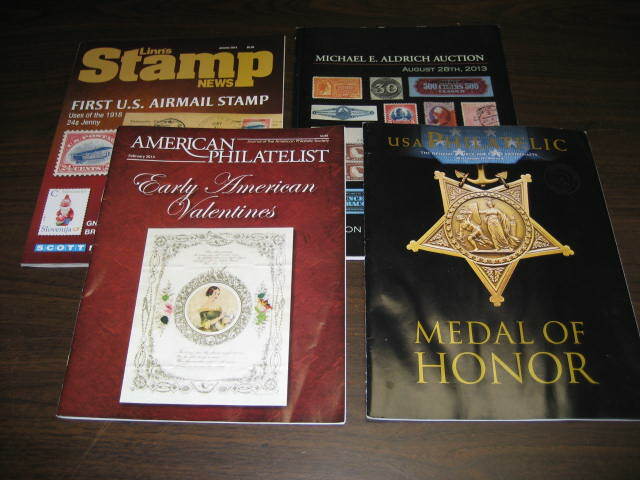 Subscribe to a philatelic journal (or read it at your local library) such as Linn’s Stamp News, Scott Stamp Monthly or the American Philatelist. These journals are chock full of advertisements offering a broad spectrum of stamps for sale, everything from on paper kiloware by the pound to hugely expensive individual stamps of a specialized nature and numerous auctions. 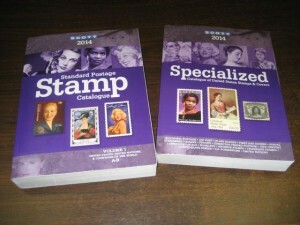 Try Craigslist, people often offer collections of stamps for sale through this medium or run your own wanted to buy ad. Attend a local, regional or national stamp show. Whether large or small it will have a number of stamp dealers eager to sell you all the stamps you desire. Third – How to buy Stamps – Most stamps are quite inexpensive, selling for pennies, and much of the philatelic trade between individuals is for cash or trade, however this requires that you are face to face with the seller. If you are buying online you will find that a Skrill or Paypal account is very useful or at least a credit card. If you are buying through the mail a check will usually suffice. Most stamp auction houses will accept your credit card or a check. Fourth – Buyer be aware – If you cannot inspect your stamps prior to purchase, make sure that your seller guarantees their stamps and will accept returns if you are dissatisfied. When possible, know the value of the stamps before you buy them, so that you do not overpay. Current Scott catalogues can be found in most libraries and their catalog values are a good guideline for buyers and sellers both. Fifth – Use a budget – There are several reasons to set yourself a monthly stamp buying budget. Perhaps, the best reason, is that you will be more price sensitive about your purchases knowing that you have a spending limit instead of a bottomless pit. It will also cause you to pay more attention to market values, through journals and catalogs to avoid overpaying for a stamp. Last, you need to eat and be clothed, so your stamp purchases should be secondary to that. A final word – Do you have an interest in a particular topic or country with stamp collecting? For example, are you interested in collecting stamps which have pictures of birds or animals on them, or are you more interested in maybe history or monarchs? You may find that when you begin stamp collecting that your interests are fairly general and not limited to one particular area or topic but the chances are that the more you experienced you become with this fascinating hobby and the more extensively you have developed your collection, you will want to acquire some of the rarer, and usually more expensive, stamps. However, until you are ready to purchase stamps of rarity and expense, it may be advisable to keep your interests general to start with and as you find out more about the history and back ground of each topic, you might then want to start specializing by topic or country. Also, it is much easier to find inexpensive stamps than rare and expensive stamps. If you have started off with a traditional bound stamp album, then as time goes on you will probably find that changing to loose leaf albums will give you more flexibility to add to any one particular aspect of your collection. This will allow you to add to a specific area rather than needing to start a new and separate album.